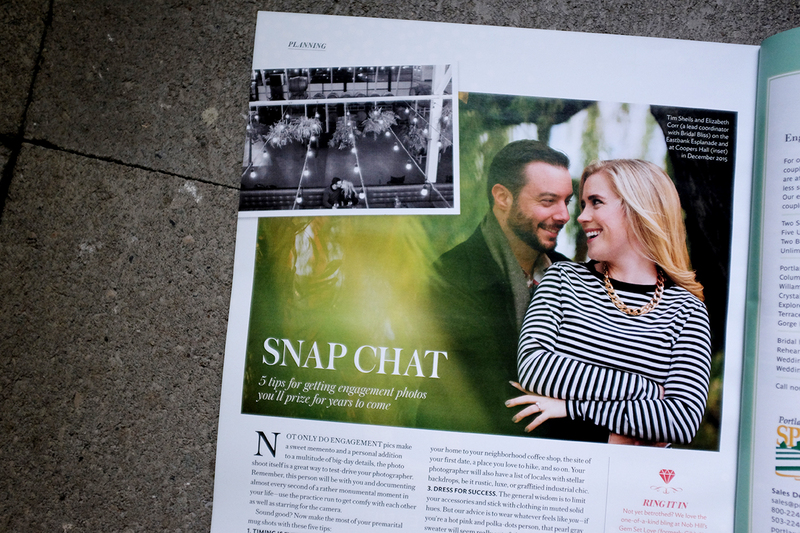 I was so honored to open the newest issue of Portland Bride and Groom to find Tim and Elizabeth’s engagement session featured in the planning section! The article talks about how to plan for the best engagement experience and they used two photos from E&T’s gorgeous shoot from last autumn photographed on the waterfront and at Coopers Hall! Check out the entire magazine which is filled with stunning real weddings, great tips and tricks and the prettiest photos and layouts, on newsstands now.